Bentonville, Ark. – Low-fare carrier Frontier Airlines announced the addition of Bentonville, Arkansas as a new city in the Frontier network with non-stop service from Northwest Arkansas Regional Airport to Denver International Airport starting on June 27th. 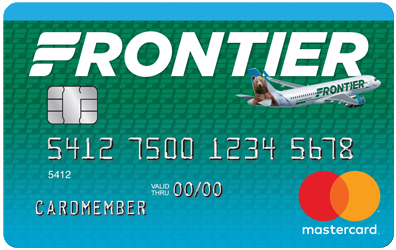 To celebrate the new route from Bentonville/Fayetteville, Frontier is rolling back fares and offering a special introductory one-way fare of $38.88* which is available now on flyfrontier.com. Frontier flies the youngest fleet in the industry, composed of over 85 Airbus A320 Family aircraft. With nearly 200 new planes on order, Frontier will continue to grow to deliver on the mission of providing affordable travel across America. Frontier’s young fleet also ensures that the company keeps fares low and that customers will enjoy a pleasant and reliable experience flying with the airline. Depart XNA: 5:47 p.m. Arrive DEN: 6:50 p.m. Depart DEN: 1:58 p.m. Arrive XNA: 4:57 p.m.
Fares must be purchased by 11:59 p.m. Eastern time on Apr. 10, 2019 for non-stop travel. Travel is valid Tuesdays, July 9, 2019, through Nov. 13, 2019. The following blackout date applies to Sep. 3, 2019. Fares are one way and do not require roundtrip purchase.